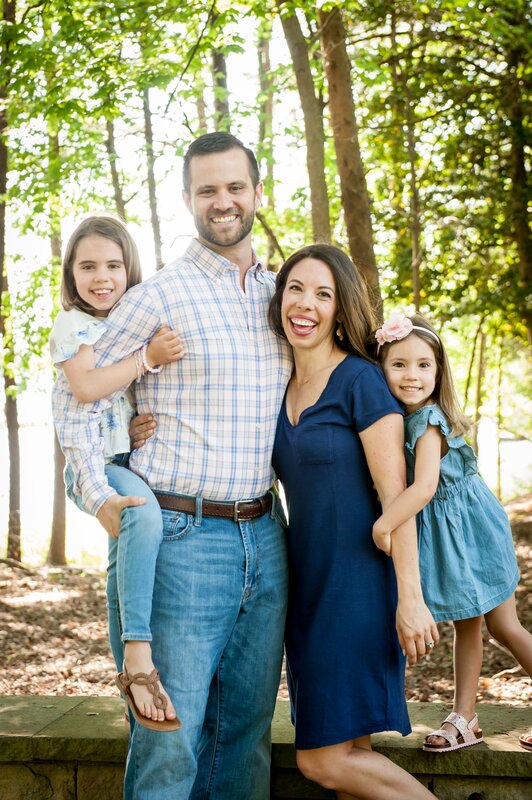 Since we started this journey as a family into more plant-based eating, I’ve had people ask me how the kids are adjusting to being plant-based kids. In our particular situation, I don’t think they’ve really noticed much! I’ve switched their yogurt to coconut milk yogurt (which they both love because… sugar) and since we aren’t trying to go straight vegan, they’ve had cheese here and there and a ham sandwich or two from Jimmy Johns. I’ve kept my ears open for mentions of meals they want, but so far they haven’t mentioned anything in particular or even asked why we haven’t had XYZ in a while. So what have they been eating? 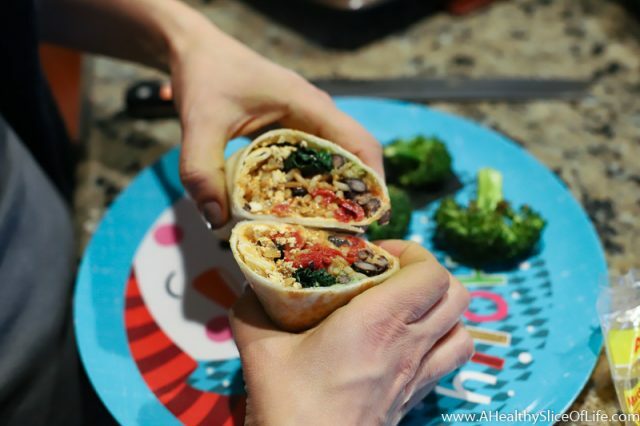 Several new meals as I’ve been experimenting more in the kitchen, and some old favorites too! 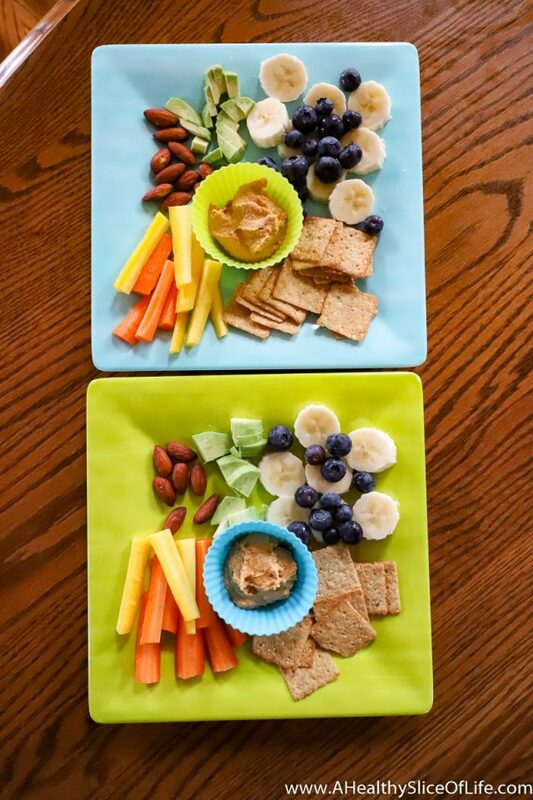 I’m excited to share the meals and snack that both girls (ages 6 and 3 years old) have happily approved of! I feel it’s important to note I didn’t make any announcement to the kids that we were going to start eating more plant-based. At their ages I don’t feel like it is necessary to focus on food beyond the typical “these foods make us powerful!” I’ll mention on occasion when we eat vegetables, fruits, nuts, and other whole foods. In our house, food is still just food (not good food, or junk food) and since I’m bringing in plant-based options, that’s what we eat! First up- dinner! 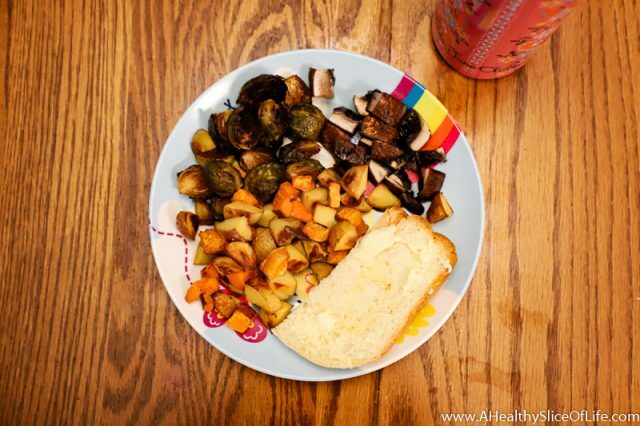 I can pretty much count on anything with pasta or bread being a hit for Kaitlyn (3), so most of our high success meals are those that incorporate one or the other. I also leave out anything that may constitute as “too spicy” and add hot sauce to my heart’s content later on my own dish. Here are some of the big winners in meals category! 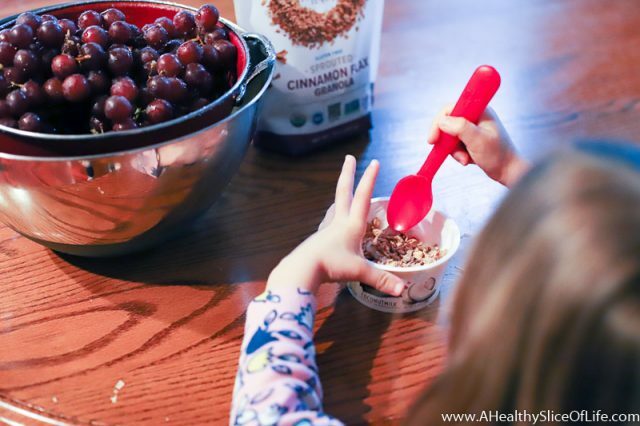 Though we aren’t big snackers around here (if we do snack, my kids won’t eat their meals), we do have our go-to favorites for days when we are on the go or doing activities that require some supplemental energy. 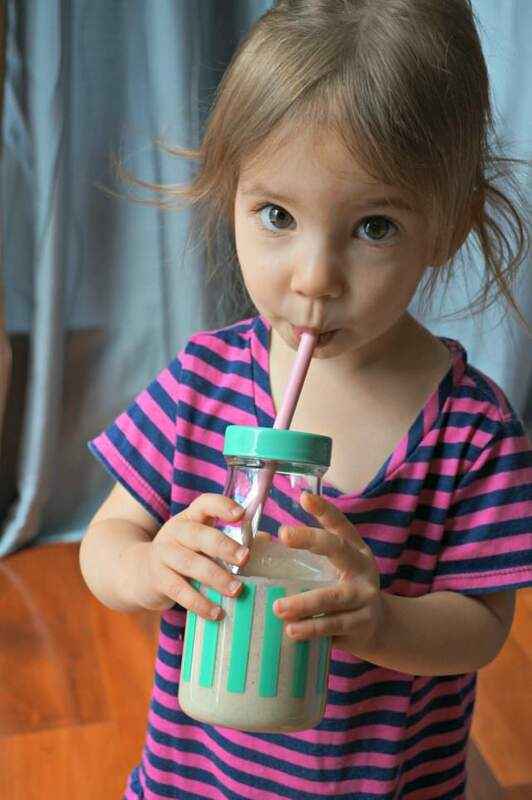 These are some of our favorite kid-friendly plant-based snacks! Get them in the kitchen. And in the grocery store or farmers market. Let them choose between the broccoli or the cauliflower, then have them help wash, chop, and roast it. Giving my girls some say-so and some skin in the game when it comes to prep have had them try things I never would have guessed they (ok, just Kaitlyn because Hailey is super adventurous) would eat! Model it. But don’t harp on it or announce it; just leading by example speaks volumes. Make gradual changes. Pulling the rug out underneath them by suddenly eliminating their favorite foods isn’t going to win them over. Instead, keep adding new things to try and eventually they will replace the old meals and snacks. Stay consistent and make it taste good. You may get some push-back and that’s OK. 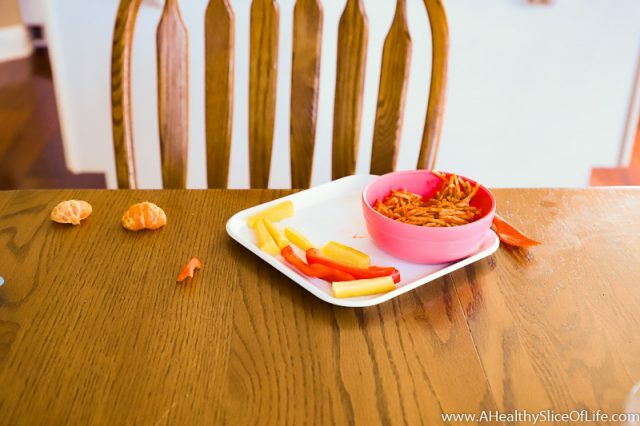 It can take kids 15-20 tries of a new food before it wins them over. Stay consistent and don’t scrimp on flavor. Put out a veggie appetizer tray before dinner. If the kids are at your feet when you’re trying to cook, put out a colorful plate of red peppers, carrots, and broccoli florets. It’s amazing how when it’s presented as an appetizer when kids are their hungriest how quickly they will gobble down veggies! Stick with familiar foods. 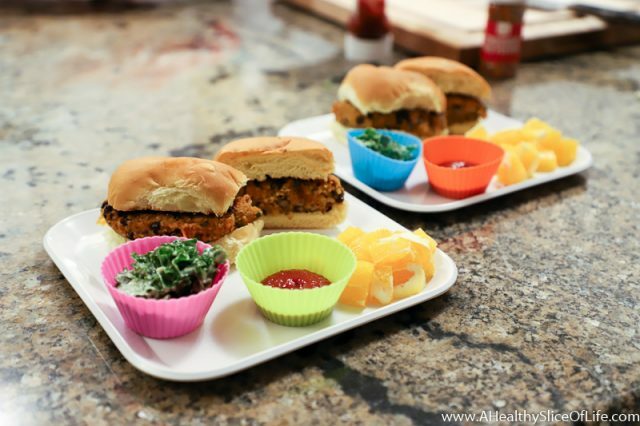 Making veggie burgers or sweet potato “fries” can make for a smooth transition into plant-based eating because kids already recognize it as a food they like. Focus on what they WILL eat. It’s so much easier to get hung up on the fact that they don’t like mushrooms than to focus on how they happily munch on raw red pepper, so make sure you are celebrating the wins where they come! Use compartmentalized plates. Some kids really don’t like it when their food is mixed or touches each other. It can help to use divided plates like these plastic plates or this stainless steel option. Serve bread or tortilla chips with a meal. 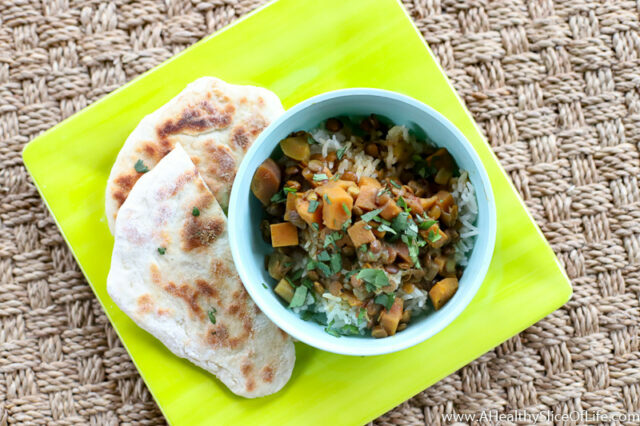 I usually refer to these as my “filler foods” but it’s amazing how much of a difference a few tortilla chips served with the veggie chili or a piece of naan with the chickpea curry can make in the acceptance of a new dish. One last tip I wanted to mention but I can’t remember who on Instagram I heard it from (so if it was you, please let me know –> edited to add: Thanks for weighing in! This verbiage from Ashley at Veggies and Virtue!). I’ve always said that I put something on their plate at every meal I know they will enjoy. I recently heard someone refer to this as their “loving it” food while the new item on their plate was referred to as their “learning it” food. I just thought it was such a cute term for introducing new foods paired with old favorites as a gentle way to expose kids to more variety. 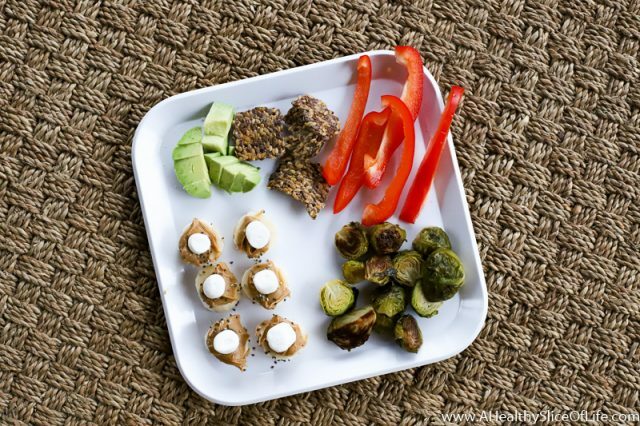 What are your kids’ favorite plant-based meals and snacks? 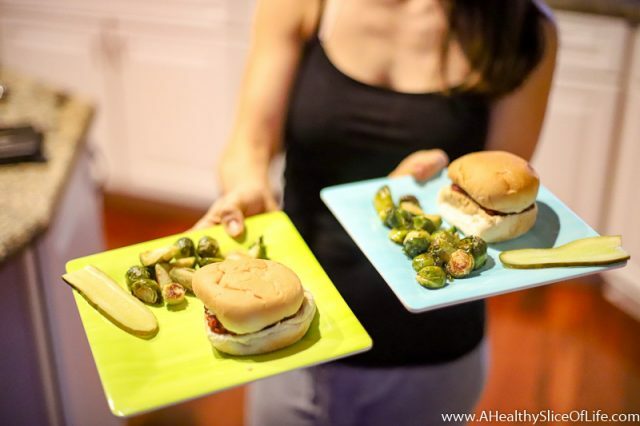 Do you have a good tip to share for how you got your kids to enjoy new foods? For snacks, hands down, my kids love bars. Rice bars, Larabars, granola bars. It can be a problem, mostly with my 2 1/2 year old. Like a kid begging for screen time. But I try to reserve them for when we’re out and about. At home carrots and hummus is a favorite, fruit, and yogurt. I’m a vegetarian so they’ve been eating plant based dinners at home from the start. Like your girls any pasta based dish is a hit. When I have time I’ll make sweet potato mac and cheese which uses mostly blended sweet potato instead of cheese. For a fast meal they both love “boil in bag Indian food” especially the lentils. I love them because it’s real food ingredients and offers a nice alternative to mac and cheese from a box (a meal they would not say no to). Thanks for the feedback Alison! Can you tell me more about the “boil in a bag” Indian food meals? Those sound great! Yes. We Have two brands up here “A Taste of India ” and “Tasty bites” with all sorts of flavors- Chana masala, red lentils, there’s a spinach one. And the ingredients are Whole Foods and spices. In fact, I made homemade lentil Dahl a few days ago and my son said he liked the bag kind better… they just need to be heated up either in the microwave or boiling the bag. This makes them great for camping, too. Google Jen Hatmaker’s cashew fettuccine. So good! I’ve served it to people and didn’t tell them it’s made from cashews and they loved it. It’s good with peas or broccoli thrown in too and over zoodles or spaghetti squash. Sometimes we serve it with shrimp too but I know you’re doing meatless. It’s nice to change it up! I would love to see more information on fast meatless meals. My husband and I both work long days outside the house. Im finding more plant based meals just take so much prep time and so much time to make. Even with Sunday prep its still hard to have dinner ready 20 mins after you get home. Maggie, do you have a food processor? If so, I often whip up a mushroom bolognese quickly after work. Onions, garlic, get processed and begin the saute. Tomatoes and mushrooms get processed and added and sauted, simmered. Add salt and pepper, top with grated romano or parmesean and olive oil! Under 20 minutes and tasty! Since we first started taking my oldest boy to Indian buffets when he was 1 he has loved saag paneer! He would point and ask for “green, green!” I have made it a few times at home but use homemade ghee (from butter) and regular whole milk yogurt, often homemade. I’m grateful that my oldest eats pretty much any green vegetable, and the youngest is catching on. If we do vegetarian meals it almost certainly contains some dairy products, as I personally feel a vegan meal is lacking something, and I know there are nutrients and vitamins, like B12, that are mostly only found in animal products. I know a lot of vegan products supplement, but I’m not convinced it is the same or as easily processed/ used by our bodies. I think the love it, like it, learning it approach is from veggiesandvirtue :). I have 3 kids (5,3 and 18 months) and every day is a struggle with food. The two oldest will willingly eat a few veggies, the baby however, still gets his from a pouch, hidden with fruit flavors. He even picks out green tortellini’s, ugh. One day I hope to just be able to serve xyz and they will eat it without a fight, and I will keep trying until they get there! I love this! 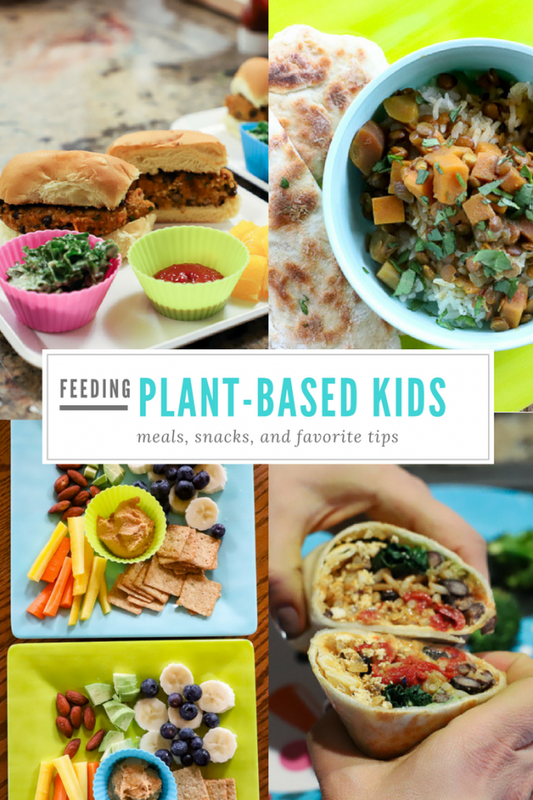 We are also eating mostly plant-based these days and it’s great to see more kid-friendly ideas. My 17 month old currently eats almost anything, but I know kids can get pickier as they get older sometimes, so I will definitely keep these in mind! The « like it / love it » is from @veggiesandvirtue. If you haven’t already read them, I think you would enjoy the blogs ohdeardrea and the lean green bean! They both post a lot about kids’ eating habits in similar ways. Thanks so much for the advice you gave last week when you replied to my comment!! I’ve never made lentils before and mine ended up the consistency of oatmeal. Is that normal? I used dried pink lentils. I love the idea of tricks and tips. When it comes to healthy eating, there’s often a strong focus on what to do – and much less emphasis on how to achieve those goals. You’ve got so many great ideas here, along with fantastic images.